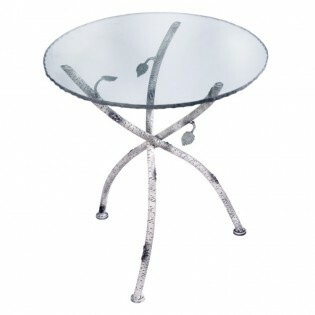 The simple, elegant design of this round accent table is an exemplar of casual sophistication. It is has a Natural Birch Bark finish and glass top. The simple elegant design of this round accent table exemplifies casual sophistication. It is has a Natural Birch Bark finish and glass top.